HOLY CRAP! We are just a few days away from the latest series of Doctor Who to begin I figured I would countdown a few of my favorite episodes. These are in no specific order because I think they are all great episodes and I wouldn’t want to say one is better than the other. Also, I am only sticking with the latest versions of the Doctor (Christopher Eccleston, David Tennant and Matt Smith). Another thing I consider multi episodes arcs one whole episode. Also the following episodes are the ones I always tell people to watch when they want to get into Doctor Who. So I’ll try to avoid major spoilers for you rookies. With that being said lets begin. The Doctor (Christopher Eccleston/The 9th Doctor) and Rose Tyler (Billie Piper) chase a cylinder through the time vortex and land in London during The Blitz air raids of World War II. The phone on the TARDIS starts ringing and Nancy, a young woman who was passing by, tells the Doctor not to answer. 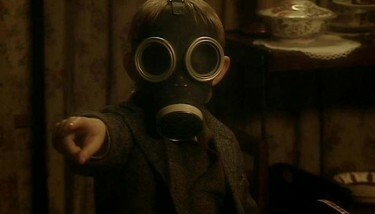 The Doctor being the Doctor decides to answer and hears a young boy on the line asking “Are you my mummy?” (CREEPY!) We eventually see this little blonde kid with a gas mask on and The Doctor is warned by Nancy not to touch him or let him touch you because you will become just like him, empty. While all this is going on Rose has wandered off and sees this little boy on a roof and begins to climb a rope to get to help him. That was a bad idea because this rope is attached to a barrage balloon and she winds up hanging there helpless. In comes Captain Jack Harkness (John Barrowman) to the rescue!. What happens next?! A whole lot of awesome! After I watched this episode the first time my fear for creepy children came back! This was even creepier than possessed children or old people who look like children or even ghost children that make cat noises while sitting in the corner of your room. Why is he so creepy? Because he follows you and constantly asks you if you are his “mummy” and you can’t do any thing but run for your sweet life. Even if you try to do something you eventually will turn into him and it will be slow and painful. Stupid nanogenes. This episode we are introduced to Captain Jack Harkness, a former Time Agent from the 51st century who left the agency after losing two years of his memory. Capt. Jack comes back every few times in the next couple seasons and is the main character in the Doctor Who spin-off series Torchwood. 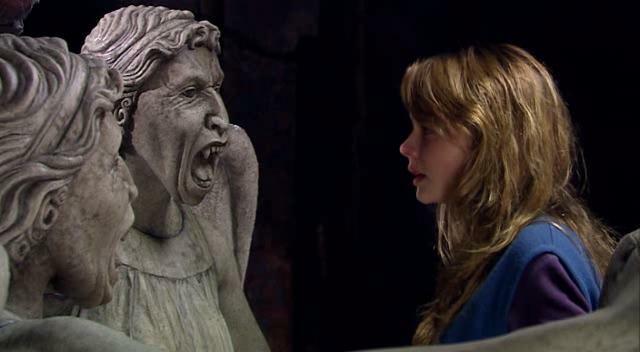 In this episode, The Doctor (David Tennant/The 10th Doctor) and his companion Martha Jones (Freema Agyeman) are trapped in the past and try to warn Sally Sparrow (Carey Mulligan) about the Weeping Angels that are trying to take control of the Tardis. You are probably wondering how the heck did the Doctor warn her if he is in the past and she is in the present time. This makes no sense! Let me explain what these Weeping Angels are. Scary as f***! Have you ever gone to a church or a cemetery and see these angel statues and then you feel like these things are watching your every move? It’s because they are! The thought that these statues move when you aren’t looking creeps me the f*** out. Its like playing Red Light Green Light, just not fun AT ALL! 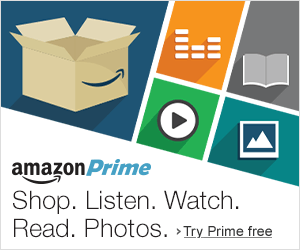 The Doctor (Matt Smith) and Donna Noble (Catherine Tate) pop up in the 51st century in this huge book repository called “The Library” because of an anonymous request for the help on the Doctor’s psychic paper. When they arrive and there is no sign of any humanoid life but according to the Library’s computer claimed there were over a million million lifeforms actually there. What?! Then there were these information drones called Nodes which have the human faces to easily facilitate communication. These Nodes warn the Doctor by telling him to “count the shadows”. 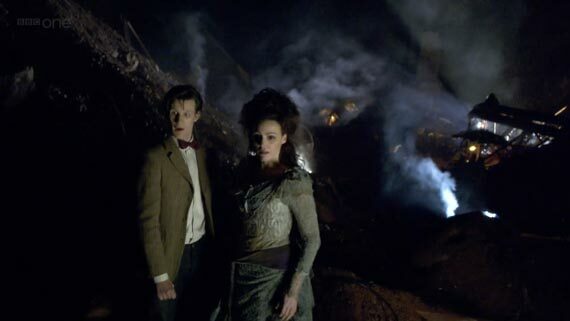 The Doctor and Donna aren’t really worried until the lights start to go out! Holy crap! There is also a group of archaeologist, led by River Song (Alex Kingston), who came to check out the Library and why the Library was sealed for the last 100 years. At the same times there is a parallel story line with a little girl who sees into the Library when she closes her eyes and she is being questioned by a psychiatrist and her father. This episode plays on peoples fear of the dark because the villain is a shadow that latches onto its prey and melts their flesh called Vashta Nerada. “It’s what is always in the dark. It’s what is always in the dark.” They also introduce the idea of a Data Ghost, which is when a person’s brain waves communicate through communication devices with the living but the person isn’t aware that they are dead. We are also introduced to River Song who knows an older Doctor but this Doctor didn’t know her from a whole in the wall. 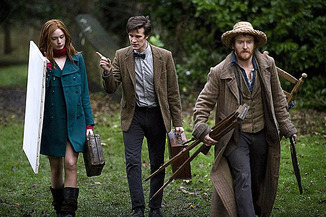 The Doctor (Matt Smith/The 11th Doctor) and Amy Pond (Karen Gillan) go back in time to meet Vincent van Gogh (Tony Curran) and find out that there is an invisible monster, Krafayis, killing villagers. This episode is a different type of episode because even though there is a monster involved it isn’t the main focus of the Doctor. The Doctor winds up trying to help Vincent realize his potential because he is extremely depressed and everyone in the village believes he is crazy and a horrible painter. But the Doctor soon notices that not all things in time can be rewritten and somethings are happen for a reason. The good things don’t always soften the bad things, but vice-versa, the bad things don’t necessarily spoil the good things and make them unimportant. The Doctor (Matt Smith), Amy (Karen Gillan) and Rory (Arthur Darvill/Amy’s husband) receive a distress call from another living Time Lord, even though the Time Lords are extinct. So they follow the signal to an asteroid outside of the universe. What they find is an asteroid called House (voiced by Michael Sheen) that consumes the power of the Time Lords’ TARDISes. But the matrix of the Doctor’s TARDIS was removed and placed in the body of a woman named Idris (Suranne Jones) that helps them escape. I love this episode because it shows the Doctor’s true love for his TARDIS and how he can be totally helpless without it. Not only that but how House threatens to kill Amy and Rory and plays with their senses as they try to escape through the corridors of the TARDIS. Such a touching episode that literally brought a tear to my eye and made me want to reread Neil Gaiman’s The Sandman. Oh yeah, I forgot to mention Neil Gaiman wrote this episode! These aren’t the only episodes of Doctor Who that I love but these are the ones that are most memorable to me. I cant wait to see what type of trouble the Doctor gets into this coming season. Here’s a taste of Series 7 that begins Saturday, September 1st at 9pm on BBC America! What is there not to love about a robot dog that shoots lasers!